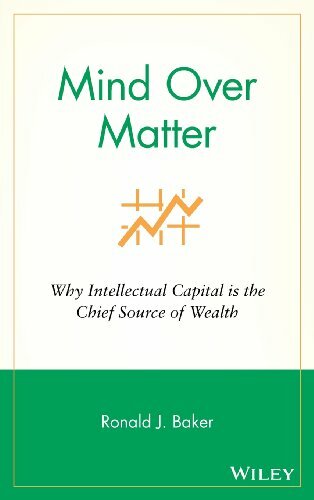 Intellectual Capital: knowledge that can be converted into profits. At the societal level, knowledge can grow even when profits decline. There’s no such thing as a natural resource—except the mind of man. You could add to the middle of that syllogism: Entrepreneurship = Learning. The following is an excerpt from Ron Baker’s book, Measure What Matters to Customers: Using Key Predictive Indicators. In a few hundred years, when the history of our time is written from a long-term perspective, it is likely that the most important event those historians will see is not technology, not the Internet, not e-commerce. It is an unprecedented change in the human condition. For the first time—literally—substantial and rapidly growing numbers of people have choices. For the first time, they will have to manage themselves. The term human capital was first used by Nobel Prize–winning economist Theodore W. Schultz in a 1961 article in American Economic Review. Human capital is like the dark matter of the cosmos: we know it’s out there but we can’t measure it. Once again, Peter Drucker was at the forefront of thought when he coined both the terms knowledge society and knowledge worker, in 1961, and later expanded on this new phenomenon in his 1968 book, The Age of Discontinuity. Today, knowledge workers themselves own the firm’s means of production—in their heads. In today’s capitalist society, labor trumps capital as the chief source of all wealth. Your team members don’t just contribute work, but also knowledge to the firm—they are knowledge workers in the purest sense. Knowledge workers own the means of production. In a factory, the worker serves the system; in a knowledge environment, the system should serve the worker. Knowledge work can only be designed by the knowledge worker, not for them. Unlike work on an assembly line, knowledge work is not defined by quantity but by quality. It is also not defined by its costs, but by its results. Thinking in terms of human capital investors lends dignity and respect to the value of each person. The word “human” comes from the Latin Hominem, for man, and the word “capital” from the Latin caput, meaning head. All capital ultimately springs from the mind. In a strict sense, a company’s knowledge is created only by individuals—albeit some are outside of the firm’s employ—and thus no knowledge can be created without people. Moreover, the average knowledge worker today will outlive his or her employer, with an average productive work life of approximately 50 years, compared to the average organizational life of 30. In the knowledge society, the most probable assumption for organizations—and certainly the assumption on which they have to conduct their affairs—is that they need knowledge workers far more than knowledge workers need them. Yet companies do not seem to understand the worth of their people. They treat them as if they were assets—or equally offensive, resources—rather than as investors of human capital who own their own—hence the firm’s—means of production. And like most investors, they will go where they can earn a fair economic return—measured in wages, fringe benefits, and other pecuniary rewards—as well as where they are well treated and respected, the psychological return. Labeling your people as assets is demeaning. Stalin used to say the same thing—and acted on it. People deserve more respect than a phone system or computer. But labeling employees resources—from the Latin resurgere, “to rise again”—is even worse, as if people were oil or timber to be harvested when you run out. There is a Chinese proverb that teaches the beginning of wisdom is to call things by their right names. Your people are actually volunteers, since whether or not they return to work on any given day is completely based on their own volition. Consider volunteer. It’s usually based on a desire to contribute to something larger than themselves. They work hard—some would say harder than at their jobs—for these organizations because they are dedicated to the cause and they have the passion, the desire, and the dream to make a difference in the lives of others. All for zero pay. Why? I am not suggesting freedom for people “to do their own thing”; that is not freedom, it is license. The flip side of freedom is responsibility. Holding people accountable for the results they achieve, hardly a prescription for anarchy and chaos. When leaders feel they need to tightly control a knowledge worker, they have made a hiring mistake. There is no better way to demoralize knowledge workers than to have them perform duties that interfere with the tasks they are qualified to do. In all probability, the best way to increase the effectiveness of most knowledge workers is by removing various tasks that distract them from their core specializations. We do not want surgeons piercing ears or nurses spending half of their time completing paperwork (a common complaint). Dan Morris has not let me down. He thinks I’m wrong about most professional firms being filled with knowledge workers; he believes the majority of them are more akin to factory workers in the days of Taylor. Now I know this is a heretical view, but Dan has assembled a very powerful argument to support his assertion. He does not deny professionals have the potential to be knowledge workers. His argument is they are not largely because of the incentives and structures of the firms in which they operate, which function more like sweatshops of yore. I do not agree with this definition in its entirety. The major determinant of knowledge workers is that they own the means of production, and they apply knowledge to knowledge to create value. Covey’s requirement of the leadership beliefs and style of management may be necessary conditions, but they are not sufficient, in and of themselves, to define knowledge work. In the old days, one took their coffee to the office. With Starbucks and knowledge workers, we now take our office to the coffee. Most professional service firms to measure their team members, they all come from the Industrial Revolution’s command-and-control hierarchies (realization and utilization rates, billable hour quotas, etc). Don’t impose billable hour quotas. Understand knowledge workers are paid for ideas, not hours, like union employees. Understand that judgments and discernment are far more important than measurements in assessing performance. Are focused on outputs, results, and value, not inputs, efforts, activities, and costs. Don’t require timesheets that account for every 10 minutes of their day. Trust their workers to do the right thing for the firm and its customers. Recognize that individuals have value, not jobs. Allow their workers to monetize the value of their output, through stock options or other incentives that share the wealth created by minds, not machines. Select workers who are passionate and self-motivated and don’t need constant supervision. The purchase of Pixar by Disney, on January 24, 2006, for $7.4 billion in Disney stock. Disney will have to respect Pixar’s culture and continue to let it make quality movies at its own pace, in its own way. Otherwise, if Pixar’s creative talent leaves, “Disney just purchased the most expensive computers ever sold,” according to Lawrence Haverty, a fund manager at Gabelli Asset Management. Knowledge workers cannot be told how to do their job, since many understand the job at hand better than their bosses. They cannot be held accountable for results if their methods are micromanaged. It is obvious executives who are responsible for knowledge workers are going to have to become much more comfortable with intuition, judgment, and discernment over measurements. You simply cannot manage people by numbers. It is time for the firms of the future to remove the sword of Damocles—objective measurements hanging over the head of their workers—and unleash them from a theory no longer applicable to the modern intellectual capital economy. It requires leadership and vision. It requires knowing you are doing the right thing, not just doing things right. It requires focusing the company on the external results it creates for customers and simultaneously building the type of organization people are proud to be a part of and invest their intellectual capital in. It requires an attitude of experimentation, not simply doing things because that is the way it has always been done. It requires less measurement and more trust. 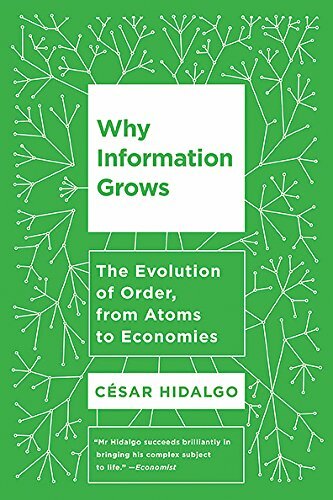 We highly recommend the 2015 book by statistical physicist Cesar Hidalgo, Why Information Grows: The Evolution of Order, from Atoms to Economies. Hidalgo writes that information is physical, in that it’s always physically embodied; it’s not a thing; it’s an arrangement of physical things. He says the act of giving birth is, in essence, time travel: from the ancientness of her mother’s womb (100,000 years ago babies experienced the same environment) to the modernity of 21st century society. The difference between the worlds not in the physicality of matter but in the way in which matter is arranged. Knowledge involves relationships between entities, which allows us to predict outcomes of events without having to act them out (tobacco use is bad without having to use it ourselves). Knowhow is the capacity to perform actions, which is tacit (walk, ride a bike, etc.). Both are highly constrained, as they are each embodied in human beings. If you crash a car into a wall: the value lost is not in the car’s atoms but in the way they were arranged. Eating apples: they existed first in the world, then in our heads. Apple (computers): they existed first in someone’s head, then in the world. Both embody info, but Apple is crystals of imagination. Making crystals of imagination requires enormous amount of knowledge and knowhow. The maximum amount of knowledge and knowhow a human can accumulate Hidalgo’s calls a personbyte. When products require more personbytes than any one person can possess, teams and organizations are formed, and they’re limited to a firmbyte. Cesar did an interview with Russ Roberts on EconTalk, which you can listen to here.